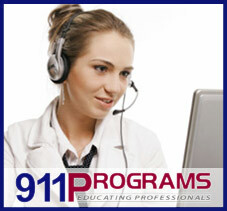 The Medical Coding and Billing Program is a 3 night a week program that runs for 16-18 weeks. Our program offers training in all aspects of the billing and coding profession including medical terminology, basic medical office management, compliance and regulatory guidelines, ICD.9, ICD 10, CPT, EDI and EHR. Upon successful completion of the program, students will be eligible to take the National Health Career (NHA) certification exams for Certified Billing and Coding Specialist (CBCS). This is not the same as CPC. The American Association of Professional Coders is a recognized board that certifies individuals in various coding professions including CPC). CPC is a higher level of certification than CBCS. There are 2 ways to attain CPC certification. Attend an accredited college that offers a 2-year program resulting in CPC certification (at the time of this authoring, there are no known programs for this in RI). The second option has several steps: Complete a Coding and Billing course (such as this program); work a minimum of two years in billing; take the CPC exam. Passing the CPC exam will get you apprentice certification (CPC-A). After an additional 2-3 years in coding/billing, the CPC exam is taken again. Passing it a second time bestows the full CPC certification. If you are interested in Certified Medical Coding and Billing and are either unable to attend any of the current courses or there are none scheduled at this time, add your name to the waiting list.